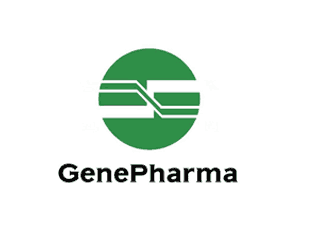 Shanghai GenePharma is a biotech company founded in Shanghai Hi-Tech Park by research scientists, specialising in supplying RNAi products and services, utilising their existing advantages of the technology, experience and low cost. The company utilises leading core technologies of siRNA chemical synthesis, including RNA monomer synthesis technology, custom and chemically-modified siRNA oligo synthesis technology, nucleic acid fluorescent labeling technology, and many nucleotide chemical modification technologies. custom siRNA, FAM-labeled siRNA, validated siRNA, modified siRNA, controls for siRNA and siRNA design services. miRNA inhibitors, miRNA mimics, miRNA negative control, miRNA mimics inhibitor library, miRNA detection kits. shRNA vector, Lentivirus shRNA vector. RT-qPCR kits, RT-PCR probes, miRNA RT-PCR detection kits.